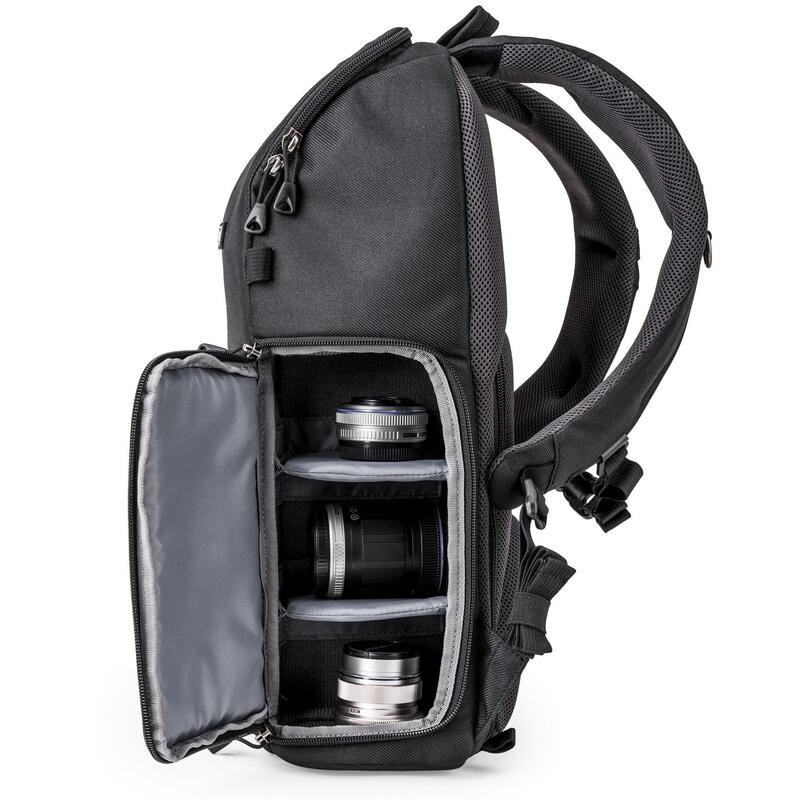 The Trifecta is specifically designed for your three workhorse lenses. 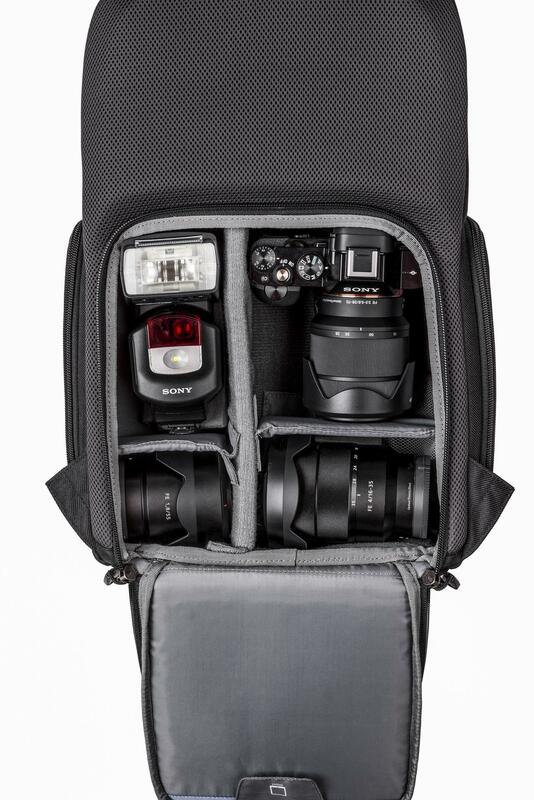 Access your ultra-wide, mid-range, and/or telephoto zoom lenses with peace of mind. 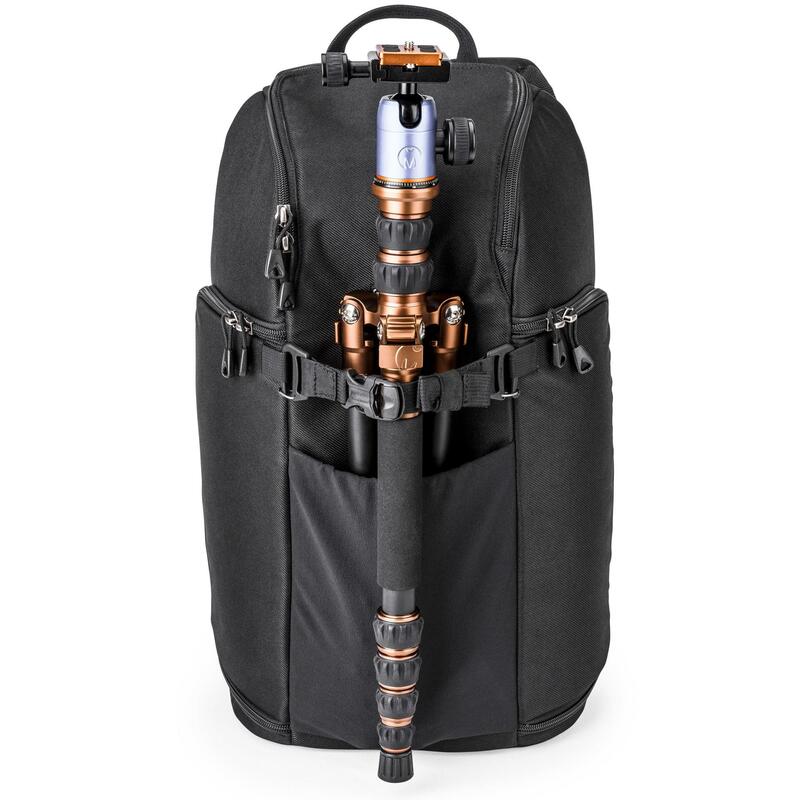 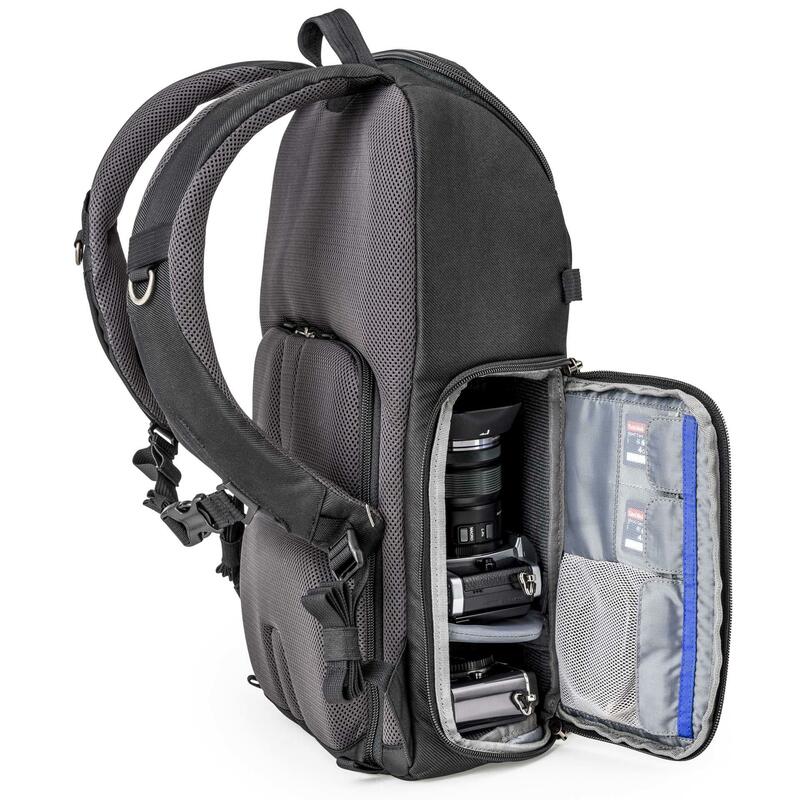 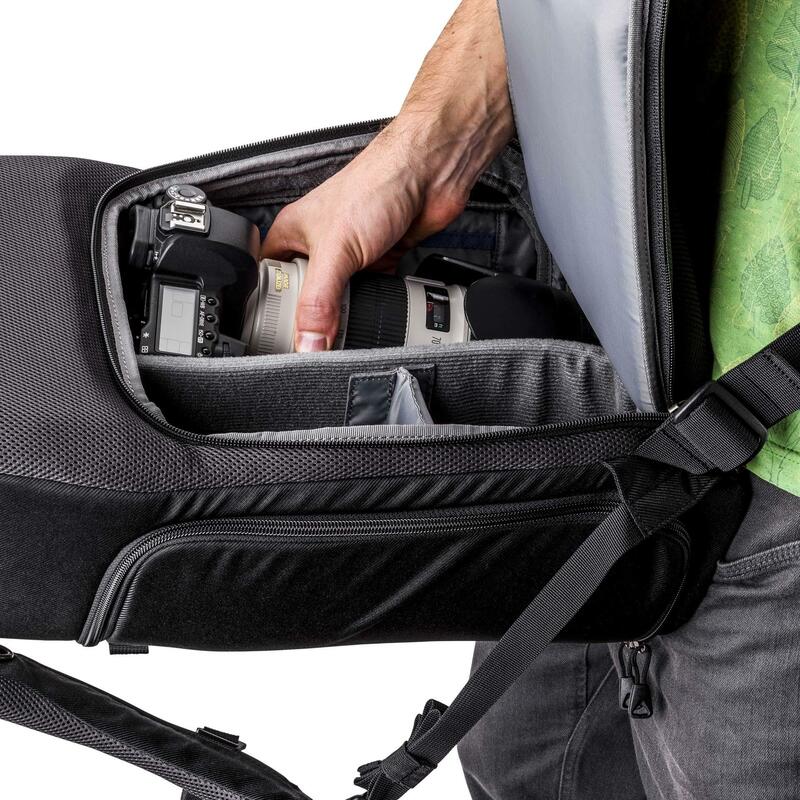 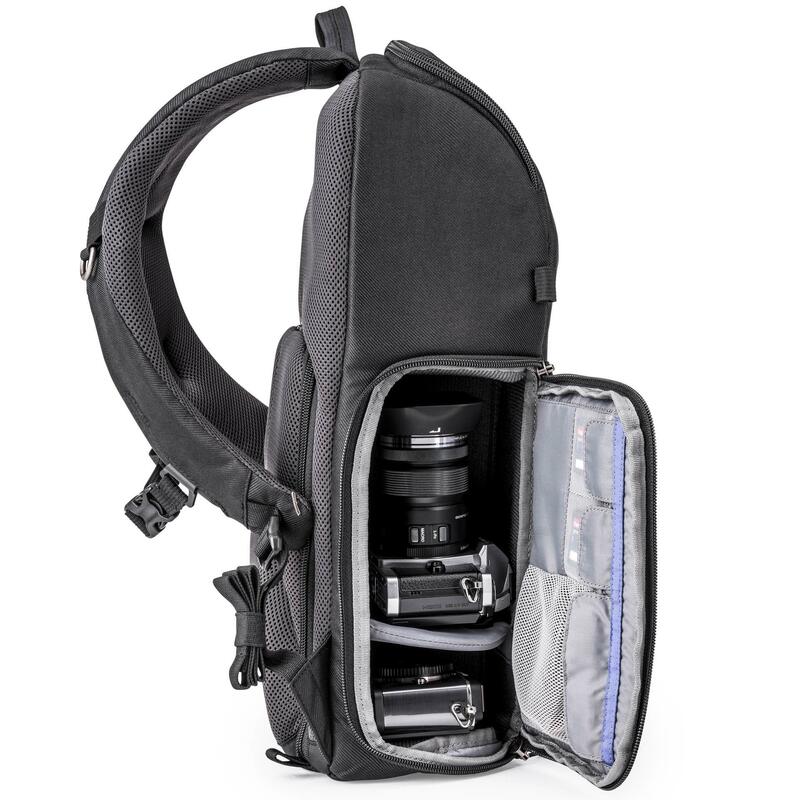 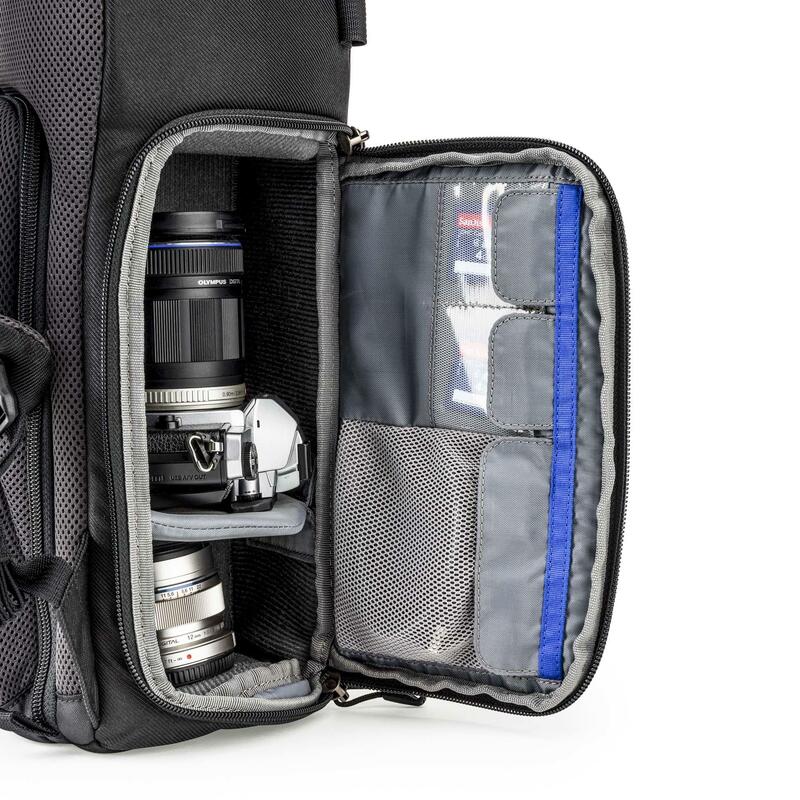 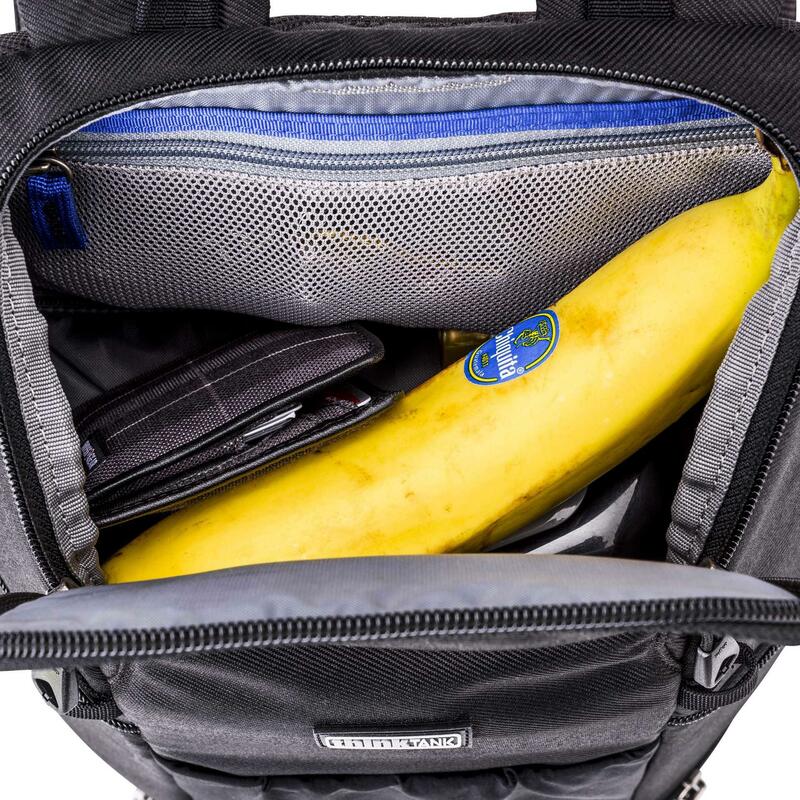 Available in two sizes, it gives you access to DSLR or Mirrorless systems without having to take off your bag. 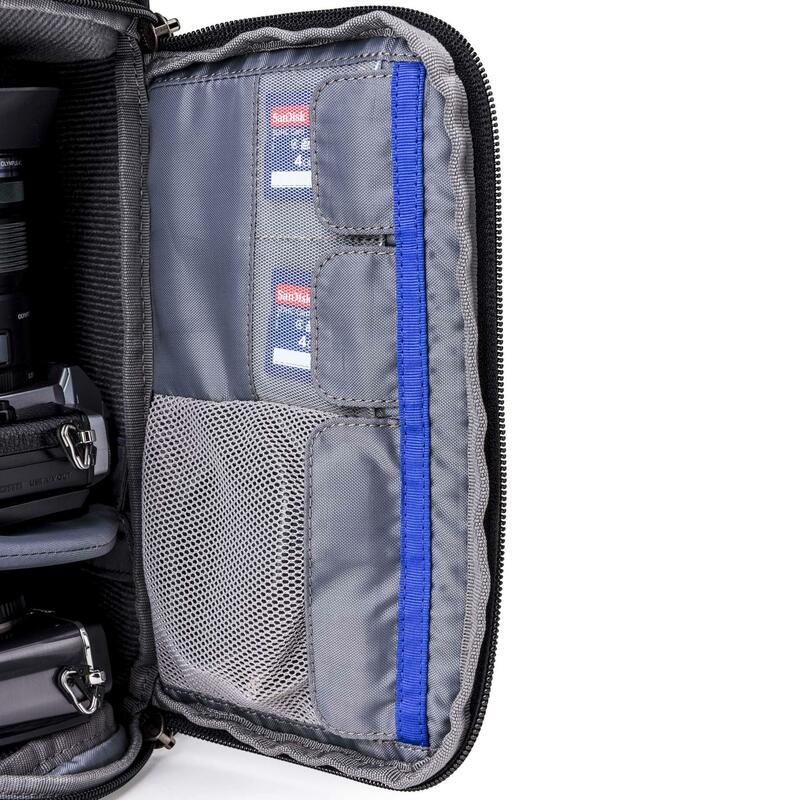 Internal organiser pockets give you quick access to filters, batteries, cards, etc. 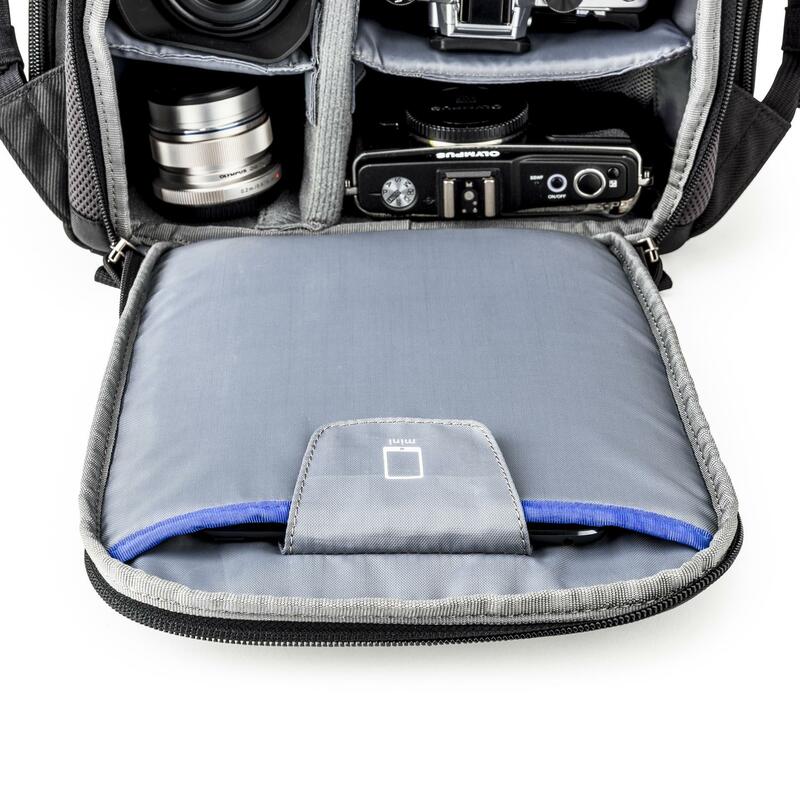 1 medium to large Mirrorless body with lens attached, 2–5 additional lenses, up to an 8” tablet, plus personal gear. 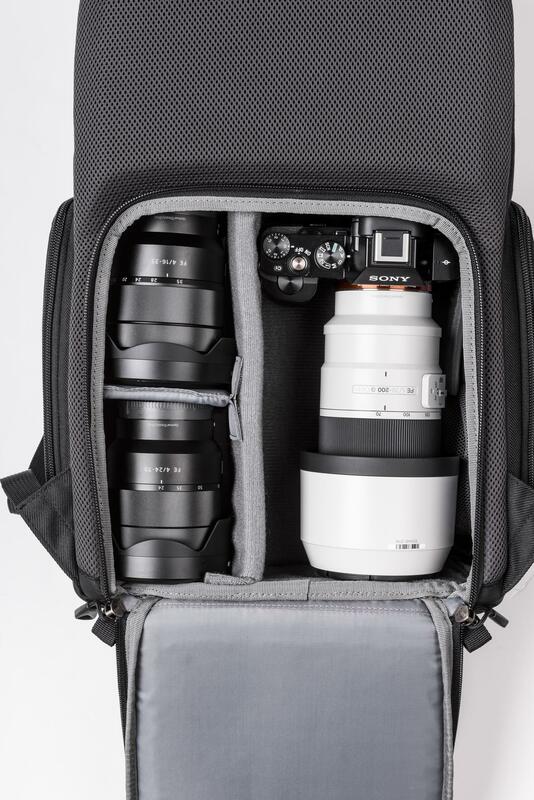 Example 1: Sony a7 with 70–200mm f4 attached, 24–70mm f4, 16–35mm f4, and an iPad mini. 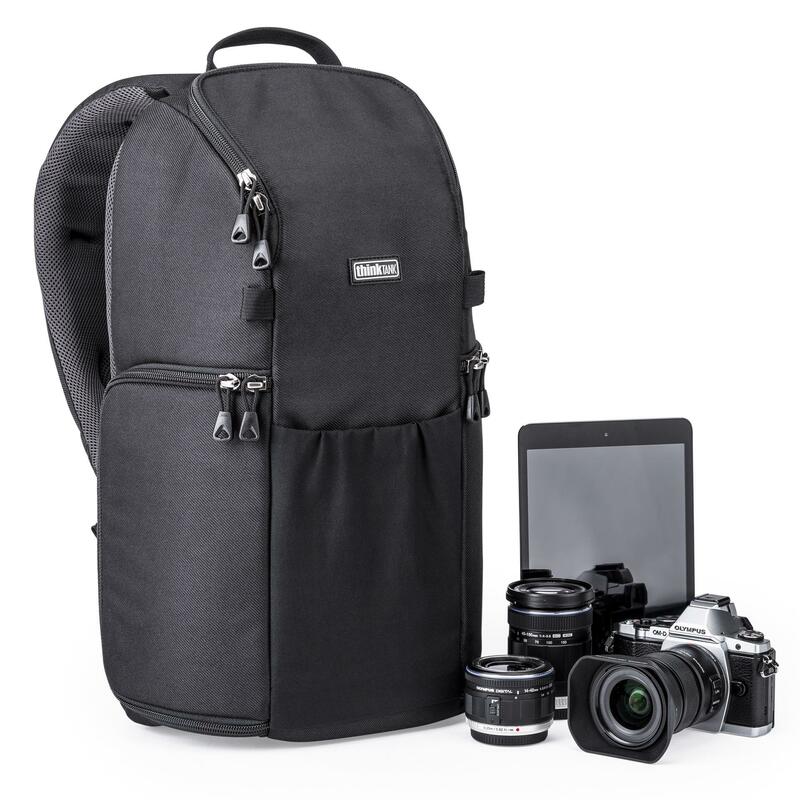 Example 2: Canon Rebel t5i with a 55–250mm f4–5.6 attached, 10–18mm f4.5–5.6 IS, 18–55mm f3.5–5.6, 50mm f1.8, and an iPad mini. 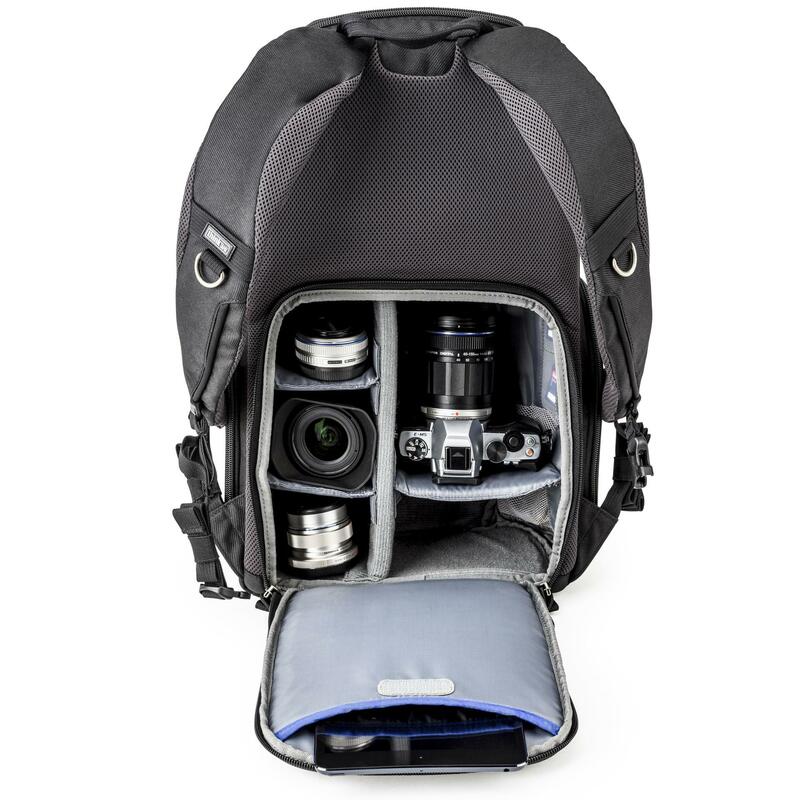 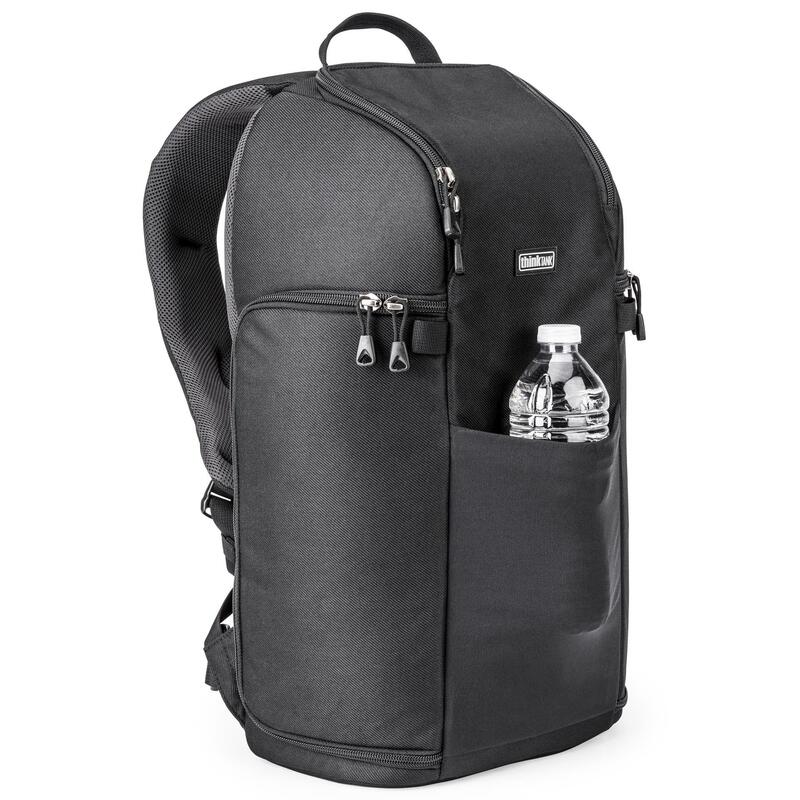 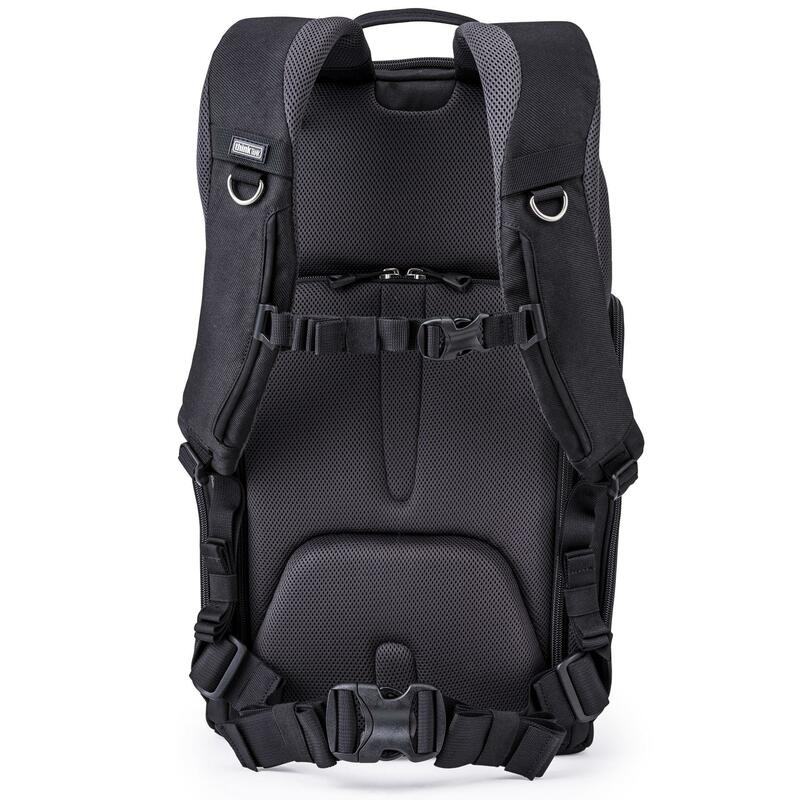 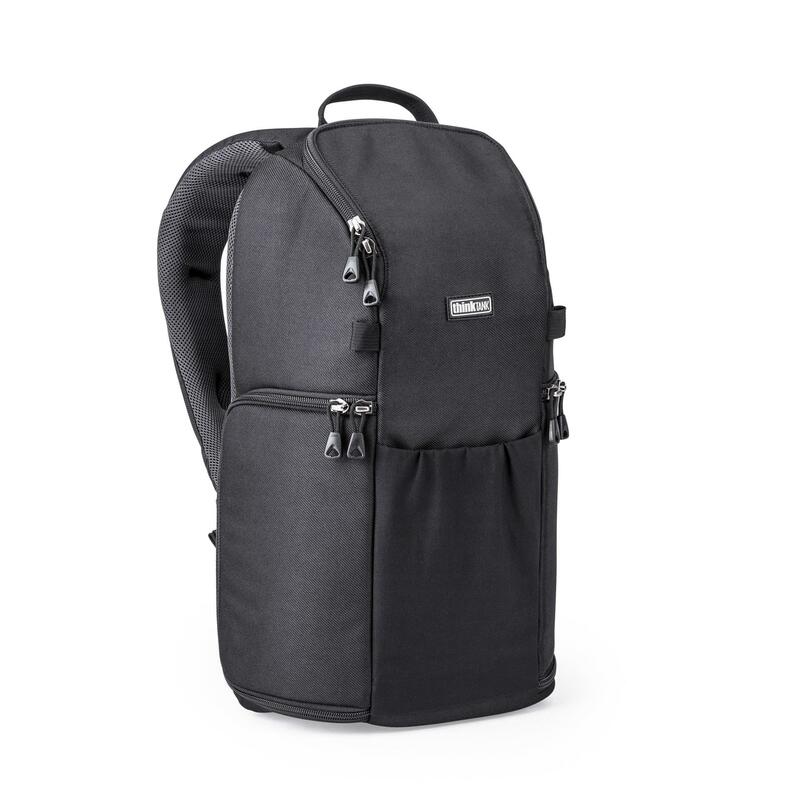 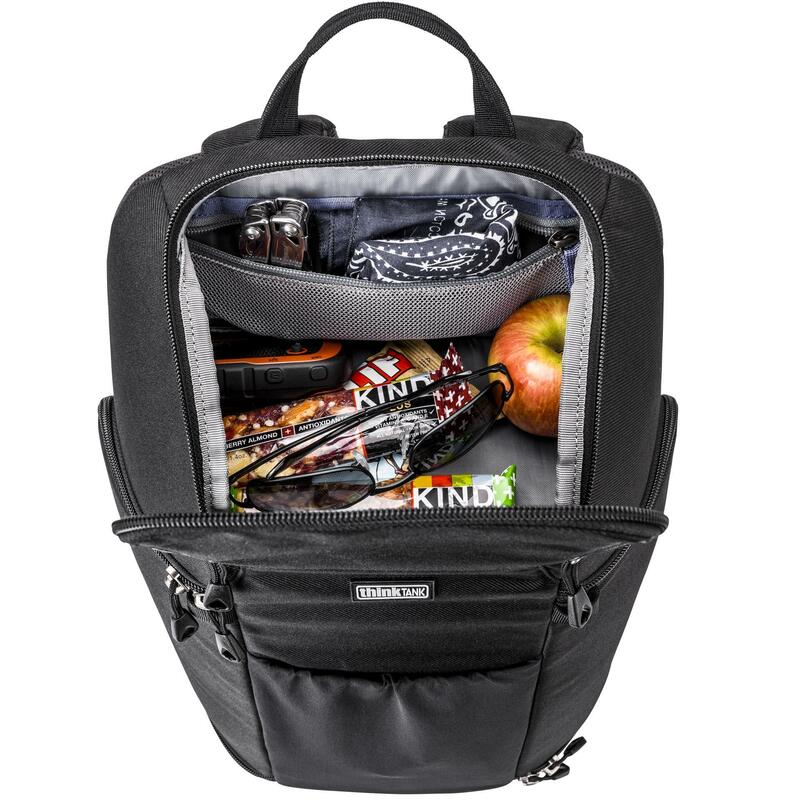 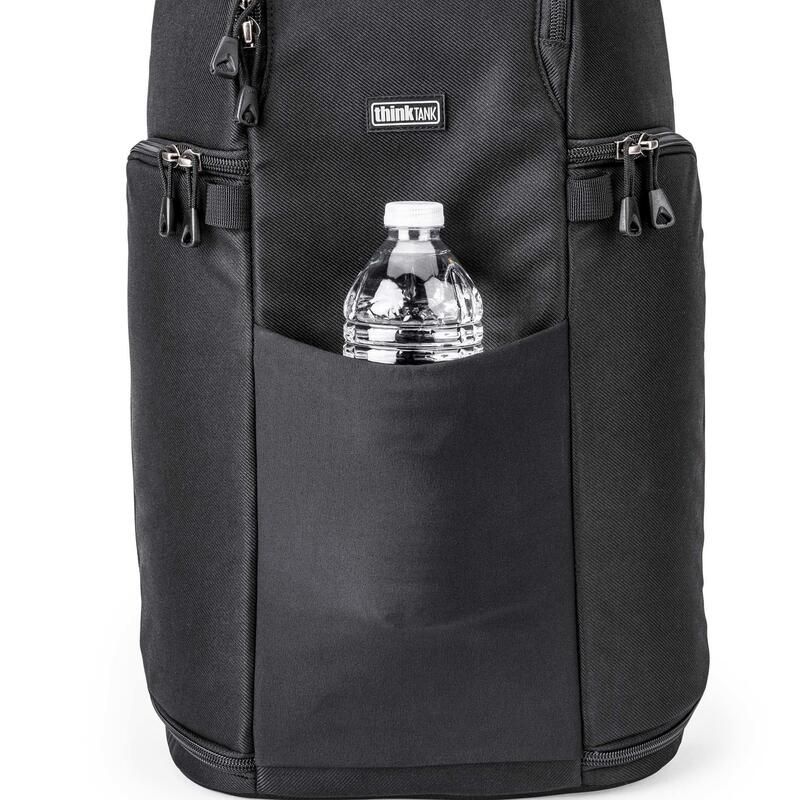 1 standard size DSLR body with lens attached, 2–4 additional lenses, up to a 10” tablet, plus personal gear. 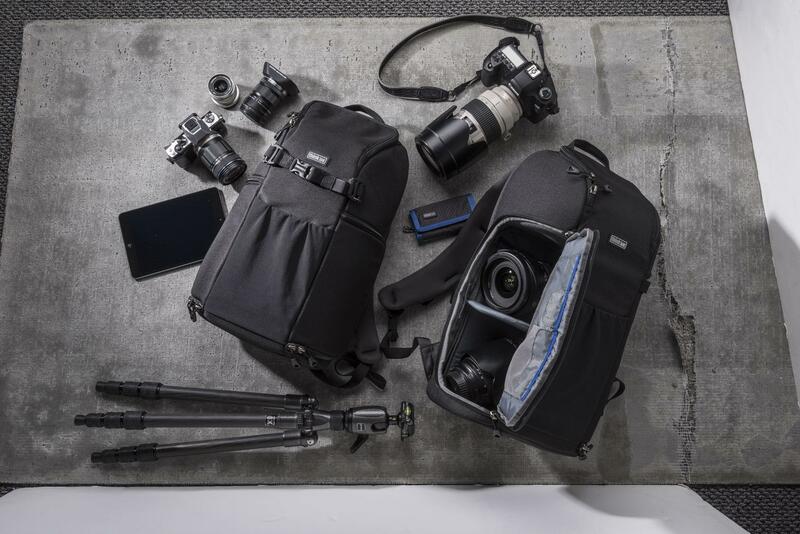 Example 1: Nikon D810 with 70–200 f2.8 attached, 24–70 f2.8, 14–24mm f2.8 and an iPad. 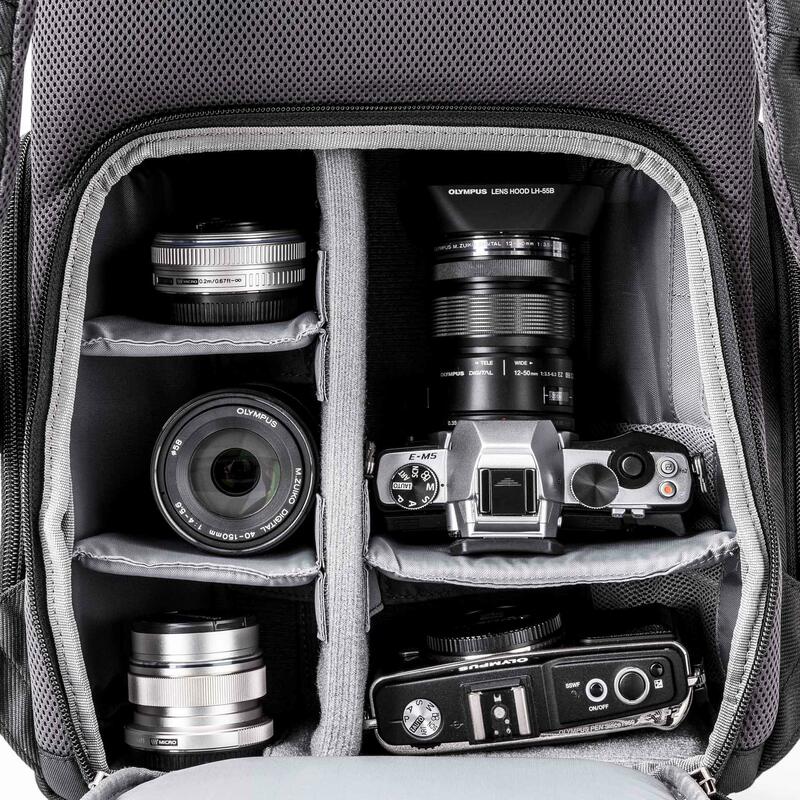 Example 2: Canon 5DMIII with 100mm f2.8L macro attached, 85mm f1.2L, 50mm f1.2L, 35mm f1.4L, 24mm f1.4L and an iPad.